Are you planning to buy a home? Buying a home can be a stressful experience for many people but with some research and the help of an expert real estate professional who really knows the market, purchasing a home can be a less overwhelming experience. Determine what type of home you want to buy and what style of home fits your needs (single-family detached, semi-detached, condominium, or townhouse). Decide on the number of bedrooms, bathrooms, single or double garage, and other features that you need in a home. Verify your finances, your credit score, and plan an affordable budget for purchasing a home. Don’t forget to contact creditors who haven't updated your financial records to reflect balances that have been paid off or credit cards that have been cancelled. Determine how much you’re willing to spend to purchase a home. Budget for other costs associated with buying a home such as a home inspection, an earnest money deposit when making an offer to purchase, legal fees, appraisal fees, property taxes, registry and land transfer fees, and closing fees. Keep in mind that in addition to a mortgage, you will need to pay for home mortgage insurance, home and property insurance, home maintenance, and utility costs such water, heating (oil, natural gas), and electricity each month. Educate yourself about the different types of mortgages and interest rate options available for homebuyers. Consider your down payment amount. Most mortgage lenders require a down payment between 5%-20%, depending on the amount of the mortgage you are applying for. Most mortgage lenders will not require you to obtain home mortgage insurance if you are making a down payment of 20% or more. 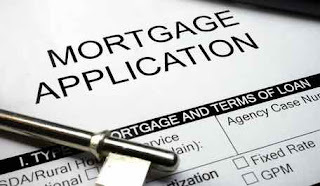 Contact a reputable mortgage broker who will contact mortgage lenders on your behalf to determine the best mortgage option for you and to determine whether you qualify for a variable or fixed interest rate mortgage. Get a pre-approved mortgage. This will save you time and ensure you are looking at homes in the right price range. A pre-approved mortgage will indicate to home sellers and realtors that you are serious buyer and that you can afford to purchase a property. Try not to make any big purchases such as financing a new vehicle before getting pre-approved for a mortgage, as it could affect the amount you can borrow to finance your home purchase. 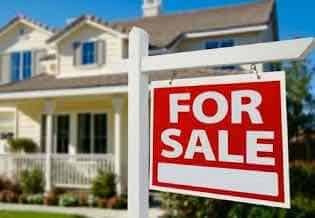 Hire a reputable real estate agent. A real estate agent will guide you through the home buying process, reduce stress, save you time, and advise you on which homes for sale on the market could be a good fit for you and for your budget. Ask your real estate agent as many questions as you need to help you understand the entire home buying process. When you find the perfect home to purchase, learn about the neighborhood where the home is located taking into consideration your lifestyle. Will your new home shorten or increase your commute to work? Are their grocery stores, shopping centres and other amenities close by? If you have small kids, are their good quality schools near by? Ask your real-estate agent to give you a comparative market analysis that shows similar homes in the area with their selling prices and time on the market, when you locate a home you are interested in buying. This will help you determine what amount to start with if you decide to make offer on the property. Hire a home inspector after the seller accepts your offer. 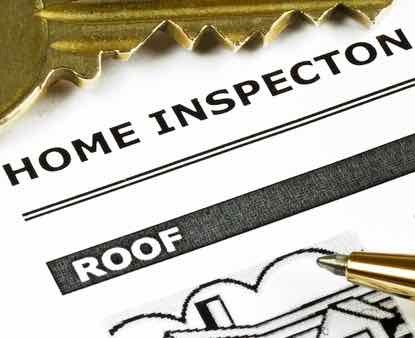 Usually one of the conditions of an offer to purchase is a satisfactory home inspection of the property. A home inspection will identify any potential problems with the property, and future maintenance issues that will have to be addressed. If the home inspection indicates there are issues with the property that need to be addressed, you can negotiate with the seller to see who will pay to fix the repairs needed, negotiate a reduction in your initial offer to account for the repairs, or retract your offer. Have a home appraisal completed on the home. A home appraisal by a professional appraiser will give you a good idea of the current market value of the property. Most mortgage lenders will pay for part or the entire appraisal fee if you negotiate with them. 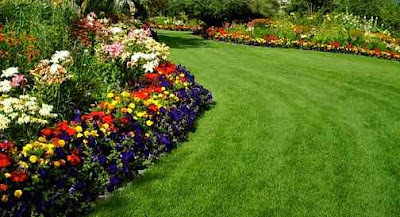 Obtain an up-to-date land survey of the property you intend to purchase so that you know where the property lines are and to avoid potential property disputes with neighboring property owners. Hire a real estate lawyer to review the Agreement of Purchase and Sale. A lawyer will review the agreement for any errors and make sure it is legally binding. A real estate lawyer will also complete a title search on the property to make sure there are no liens or judgments on the property. The lawyer will also file a real estate deed transferring the title of the property to you from the previous owner if you purchase the property. Complete a thorough inspection of the property with your real estate agent on closing day to make sure the seller has vacated the property and left it in the condition agreed upon in the purchase agreement. Meet with your real estate lawyer to sign all legal documents finalizing the purchase of the home after completing your closing day inspection, and obtain the keys to your new home! Plan any needed home renovations and complete them before you move into your newly purchased home. Purchasing a home is the largest financial investment you will make in your lifetime. Don't take on more financial debt than you can comfortably handle. It is a good idea to always have an emergency contingency fund put aside in case funds are needed to make your mortgage payments on a short term basis due to job loss or financial changes in your life. Following these home buying tips before you purchase a home will make you more knowledgeable and confident about the home buying process.